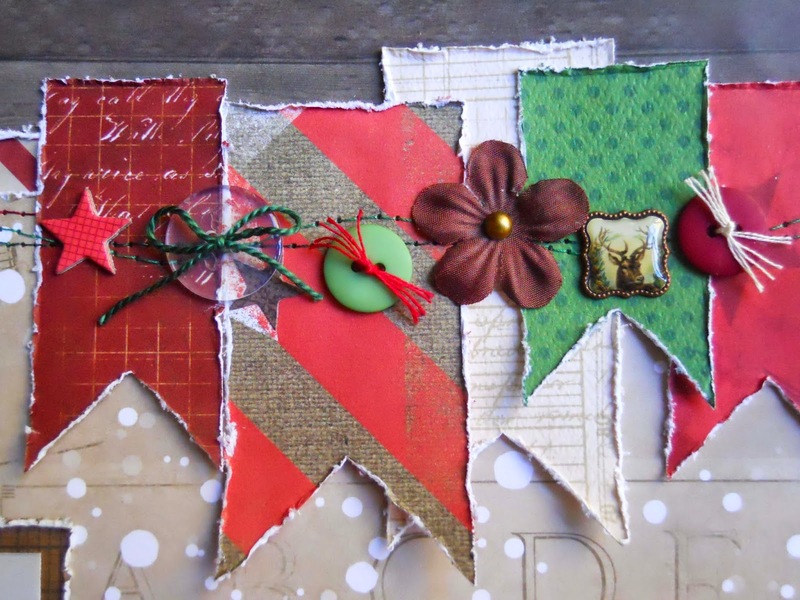 Bo Bunny's new Christmas Collage I want it all bundle from FotoBella, is so festive, and packed full of everything you need for all of your holiday photos and projects! I created this 2 Pager with some photos of a visit from my uncle, aunt, and cousin, at my parents house. 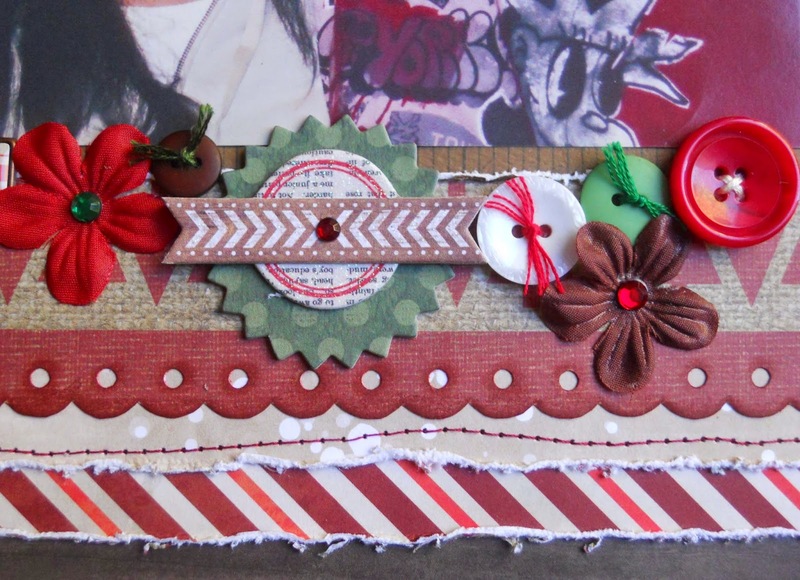 I had a lot of fun embellishing these pages, using the Layered Chipboard, Ephemera, Brads, and Chipboard to create the banner and cluster under the large photo. The scallops were fussy cut along the bottom, and then I punched the holes with my Big Bite, inking the edges with Distress Ink (Fired Brick). I added some machine stitching to finish it up. Thanks for your visit!